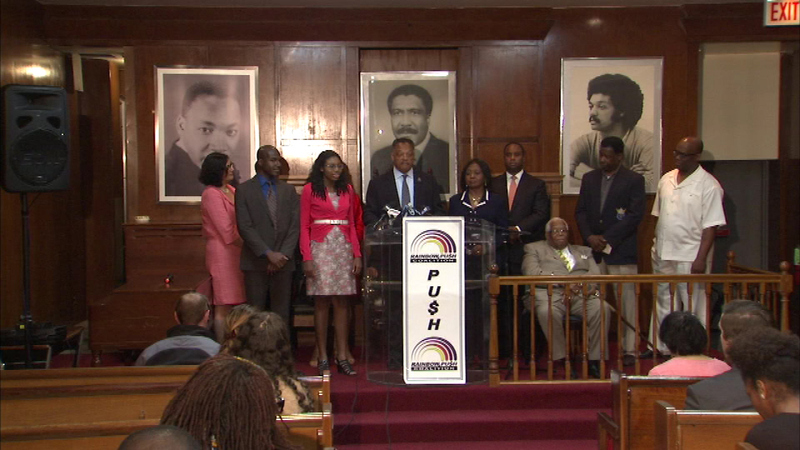 The 44th annual Rainbow PUSH Coalition Convention is underway this weekend in Chicago. CHICAGO (WLS) -- The 44th annual Rainbow PUSH Coalition Convention is underway this weekend in Chicago. The convention runs through Wednesday afternoon at the Sheraton Hotel Downtown. This year's theme is "Silicon Valley to LaSalle Street: Life Beyond the Edmund Pettus Bridge." The civil rights group showed off its new Technology Center at its South Side headquarters. It connects kids to state of the art technology.